Businesses have been using storefronts to advertise their brand for years, and it’s certainly effective. The right sign will invite customers in, even if they’re not familiar with your products or services. That’s where we come in. Our job is to help you determine what type of sign you’re looking for, and help you create the look that complements not only your brand, but your personality. To do that, let’s start by looking at the different options available to you. There are three basic window signs available to customers: stickers, decal, and cling. The biggest difference between these three is the adhesive used, and it is one of the most confusing details of signs. These signs are just like regular stickers, except larger. The adhesive is a one-time material that doesn’t allow for repositioning so you have to place them perfectly the first time around. Most people who ask for window stickers actually mean window decals. The adhesive material used for these signs is “semi-permanent,” which means you have some wiggle room to reposition the decal before the adhesive sets. There are three types of window decals available: clear, opaque, and perforated. A clear decal will have a clear background everywhere that your logo or design is not printed. An opaque decal is difficult to see through, and the background around the design is usually an opaque white. Perforated decals allow one-way visibility, usually from the inside the store. These allow you to post your logo, business hours, and design while still giving you the option to see outside the store despite customers not being able to see inside. Clings don’t use an adhesive like stickers and decals. Instead, it uses the static charge between the sign itself and the window to keep if from falling down. These are the most flexible signs in the group because repositioning is simply a matter of taking the sign down and adjusting as necessary. Window clings can also be clear or opaque. Besides these types of signs, you can also buy large wooden signs that sit in front of a window space rather than on your windows. Any of these design options you choose we can design and create for you at Sign World. Now that you have an understanding of the different types of signs available, let’s talk about the design. Before we discuss specific ideas, consider these facts. Graphics communicate more than words in a short amount of time. Borders increase reading speed by 26%. Digital color graphics stimulate other senses and increase impulse purchases. Unique designs make the sign more noticeable and will attract more viewers. With those in mind, here are some ideas for your window sign. Let’s say your business is a coffee shop and you want to attract more people. Look at your signs, especially those on the window. Are they inviting? Do they capture the eye? If not, add a graphic. Consider a digital color coffee mug, perhaps from a top angle view, and make it look comfortable. If you have a lot of information to convey to your clients with a sign, you can add a simple border. These work well for business hour signs, now hiring signs, and many other business related signs. Let’s say your business is a martial arts school, and you’d like to make yourself stand out from the rest. The best way to do that is to create a unique design to go on your window signs. A standard martial artist silhouette isn’t going to be unique enough. Create a graphic based on your style – mantis, tiger, crane, eagle, etc. Use those animals to create an attention-grabbing logo and use Sign World to help you print it out and put it on your window. Use paint instead of decals. Contrast colors for higher readability. Use different fonts to highlight the important parts of a sign. Use the least amount of words possible. Make sure the letters are big enough to read. Be creative – bland signs are easily forgotten. 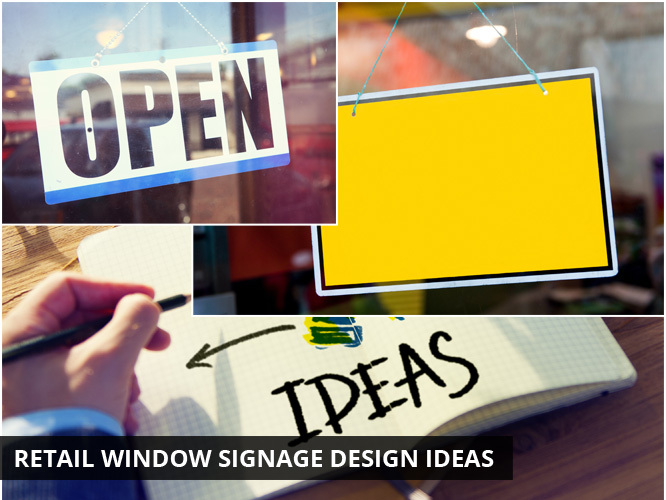 If you want to attract more customers and increase your revenue, then you should head over to signworld.org and start creating a new sign for your business. We can do window signs, banners and magnetics, vehicle graphics, logo design, motorcycle paint, and more. Browse our examples page, and then bring your ideas to us. We’ll help you create the perfect sign for your business.